The documents will be available online Wednesday at the end of the two-day official opening of the National Research Centre for Truth and Reconciliation, which is located at the University of Manitoba in Winnipeg. They are just a small fraction of the millions of records the centre now possesses about the schools where physical, sexual and emotional abuse was rampant. The initial batch will be relatively benign, said Ry Moran, the centre’s director who has been involved in the task of processing the material for nearly six years. The documents are not among those that are expected to be the most emotionally challenging for an indigenous population that is still recovering from the harmful legacy of the institutions. But over the next few years, as the remaining documents are vetted and then released, they will undoubtedly become more jarring and more controversial, he said. It was not uncommon for Indian agents or school administrators to include racist comments about the students and their families in their writings. One document, for example, describes a mother as being a drunk and a wanderer. The centre asked members of the indigenous community what should be done with it. It will be the job of the centre to put that type of material into context and to ensure that it is presented in a respectful way with the support of the indigenous communities, Mr. Moran said. Marie Wilson, one of the three members of the Truth and Reconciliation Commission – which made 94 recommendations for resetting the relationship between Canada and its indigenous peoples following the period of the residential schools – said she hopes the centre will safeguard all that has been learned about a sad but important chapter of Canadian history. “We want everything that has come forward, which so many Canadians have told us they knew nothing about, to stay in a public and accessible way so that we don’t slide back into either ignorance or amnesia,” Dr. Wilson said. Most of the former students who made statements before the commission gave their consent to have the material made public – even in cases where they had not shared the stories with members of their own families, she said. “Some survivors said directly to us, ‘I want the country and the whole world to know what happened to me,’” she said. The initial batch of records to be released by the centre has been culled from a massive database created by the federal government, retrieved from the storage rooms of Library and Archives Canada, or located in the possession of the churches that ran the institutions. It includes 18,000 photographs, 200 videos of hearings before the Truth and Reconciliation Commission, and at least some information about each of the 139 schools that operated across Canada, for various lengths of time, between 1883 and 1996. “This is, fundamentally, going to be about a conversation of hard truths,” Mr. Moran said. But it will also be about learning, he said. The hope is that the archive will be used by teachers to help their students understand what went on at the schools, and also to give Canadians at large a deeper appreciation for the multigenerational impact the abuse has had on the aboriginal population. 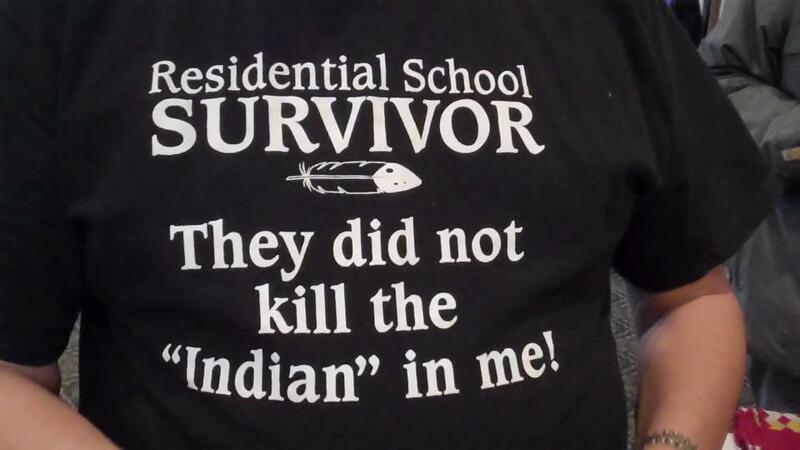 Posted on November 4, 2015, in Colonization and tagged assimilation, colonialism, Residential Schools, Truth and Reconciliation Commission. Bookmark the permalink. 1 Comment.